Geology Blanket peat mire over Namurian chert strata. 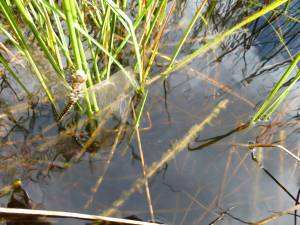 Record Name Southern Hawker Dragonfly egg laying in pool formed by Grip Blocking. 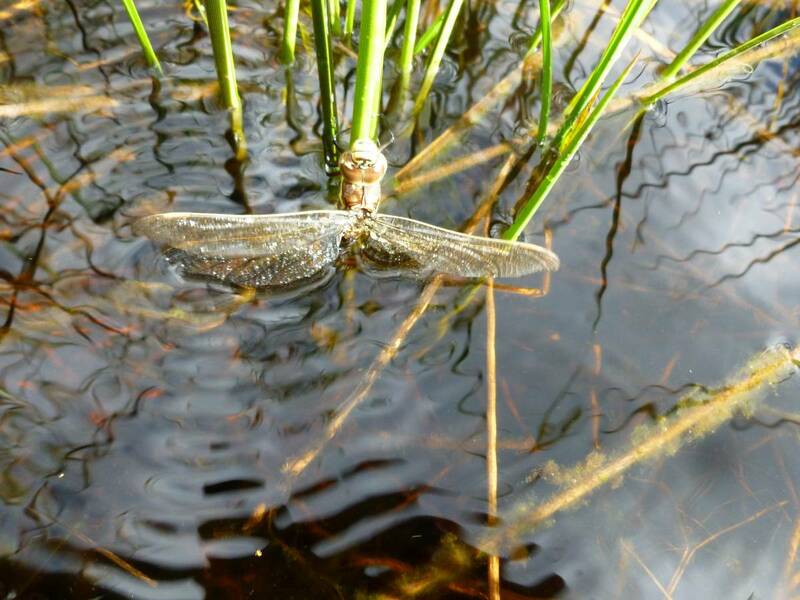 Record Description By chance, during botanical recording on a peat mire, Mrs Linda Robinson noticed a dragonfly vibrating its wings half submerged in the surface film of a pool formed by grip blocking operations. 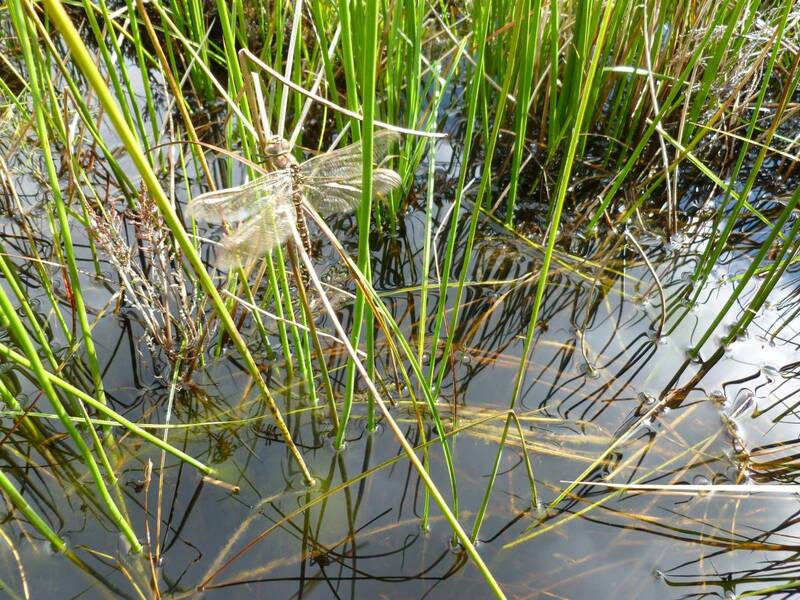 Additional Notes A large scale programme of blocking the drainage grips which were cut some 40 years ago across blanket peat mires then to assist drainage and now found to be undesirable, has produced very large numbers of small temporary pools of static water very well suited to Dragonflies , water skaters and other aquatic insects. The peat mire receives highly calcareous water from springs situated on the hill slopes just above the peat, these spring mounds are carpeted by bright green Cratoneuron commutatum moss and are highly visible. Occasionally these spring mounds are the habitat of rare plants, but when drained as these examples, they lose the calcium rich water and the rare plants requiring these special conditions to survive, disappear. 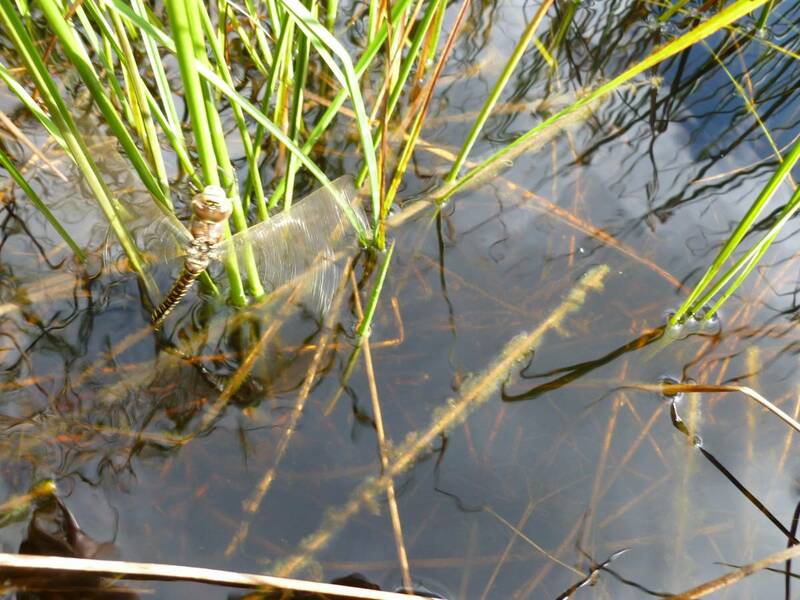 Image 1 Description Southern Hawker Dragonfly egg laying. 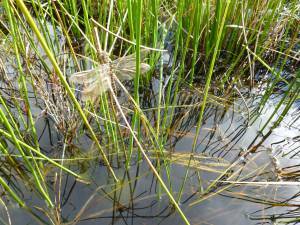 Image 2 Description Southern Hawker Dragonfly vibrating its wings in readiness to fly. Image 3 Description Southern Hawker Dragonfly having dried its wings is about to fly off fast and high. Image 4 Description Recent grip blocking operations have formed many small pools ideal for Dragonflies. 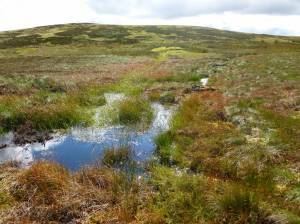 Note the bright green Cratoneuron moss carpeted calcareous spring mounds on the slopes above the Peat Mire.